Young kids are fast learner, they are inquisitive at times, that's how they learn fast! Children are indeed fast learners. I am thinking of getting a printer for my photos. Cheaper to do my own printing. I am thinking of getting an Epson model. Thanks for stopping by my place and leaving your comment! So nice to meet you! Kids crack me up these days! They just "get" it! Your daughter is a bright one!! LOL, kids are so quick with this sort of thing! LOL! Yeah, kids these days are so tech-savvy, aren't they? Even Z, who's not even 3 yet, knows how to navigate between pages and click on games that she wants to play on the Playhouse Disney website! If I want them to do something, I use computer time as a bargaining chip! this is so cute. 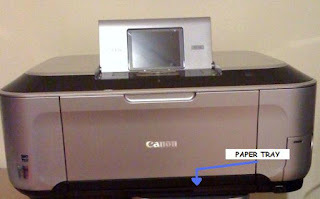 I have almsot the same printer so I kind of knew where your story was going because I had the same experience with my own kid! The second child is really interesting. I'm a little ashamed to admit that I've taught my little one practically NOTHING. Almost everything she's learned, she has learned by observation, and like your little girl, she's just brilliant! Crazy. You have a young bright kid! Nowadays kids are really fast learner. They see it once, they will able to do it next time already. Wonderful story about your little one. Its amazing what they can learn (and how quickly!) and are able to do so much on the computer. LOL LOL LOL!!! kids are so cute...and they really do learn so quickly these days, my little 3 year old can navigate my iphone better then I can ;) hope you are having a nice weekend!! This is so funny and yes, so true about kids. My 3 year old can sit herself down at the computer, look at the screen saver, select internet, type in "Peep", select Peep and the Big Wide World from the drop down menu, click on it, open up all the peeps and select the videos and play them all by herself. Freaks me out, I'm like you. Where is the print button and where does the paper go? Lol! When I read the conversation in your blog post, I was surprised to know your daughter is only 4. Gosh, what a smart and observant girl !